One month's rainfall is expected in parts of Greece today, it comes on top of three days of gale-force winds that knocked out power lines in several Attica neighbourhoods and other parts of the country on Thursday. That weather system has been dubbed Xenophon by experts and is said to be on its way out, though only to be replaced by a Mediterranean storm with tropical characteristics equivalent to a hurricane, or Medicane, that has been named Zorba. The Mediterranean hurricane heading towards Greece reached the southern Ionian Sea on Thursday evening, the meteorological service (Meteo) of the Athens National Observatory said on Thursday. The hurricane is expected to continue eastward, bringing torrential rain and gale force winds to southern Greece and specifically to the Peloponnese and Crete on Saturday morning, Meteo said. Hurricanes of this type are called Medicanes and reportedly appear in the Mediterranean once or twice a year. In Greece they are even rarer, however, this will be the third year in a row that such a cyclone appears. 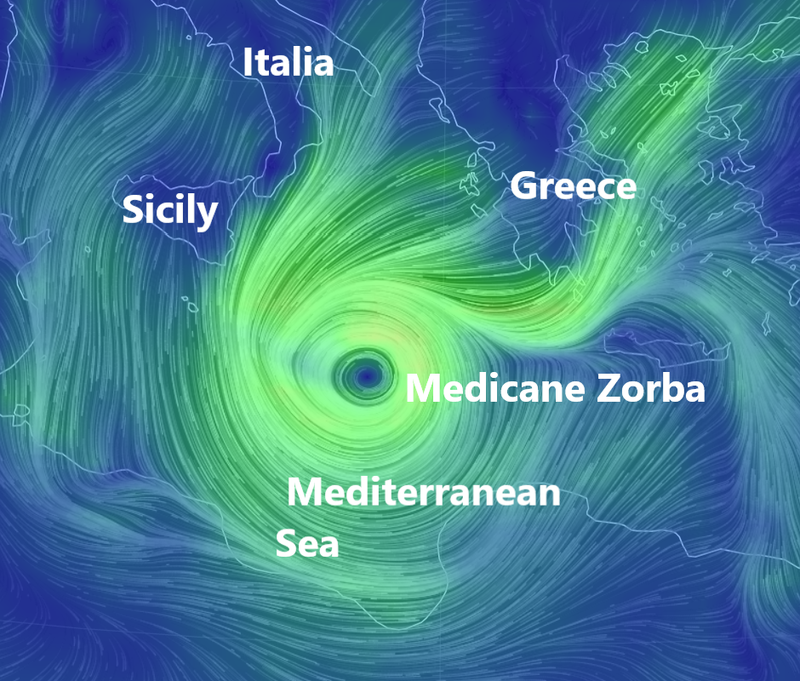 Before 2016, the Greek weather service recorded a Medicane in 1995.